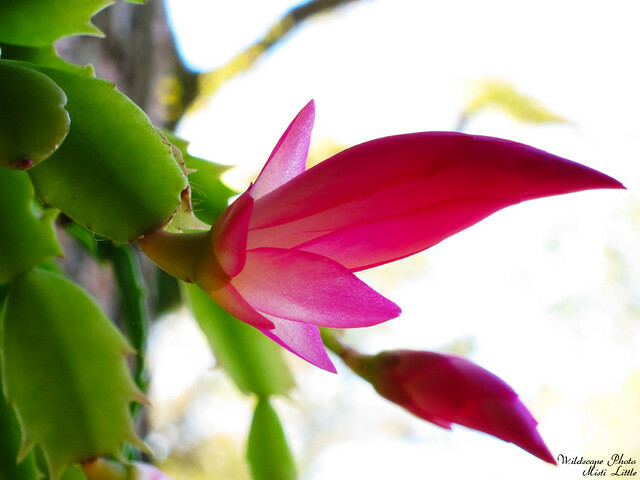 As the basket of cactus hung from our guest bathroom shower curtain rod, it started blooming. This started late last week, and I made the note that this so-called Christmas cactus was more like a Thanksgiving cactus. I was being smart, joking about it. 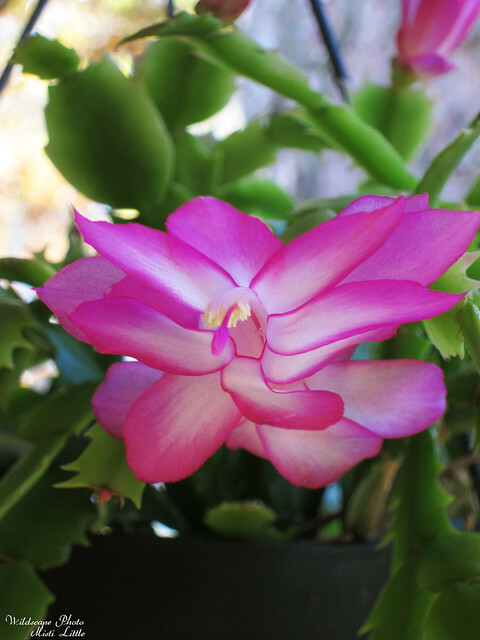 Little did I know there actually is a Thanksgiving cactus, a separate species from the typically known Christmas cactus….and this is it. I went out to check the tag that is still hanging on the pot and it indeed gives it as Schlumbergera truncata, though they have the common name as Christmas cactus. But my research shows that there is a difference, and they bloom off just by a month, or a few weeks. Here in the garden, thinks look like crap. Crapola. We had our first good freeze last week and are in for a deeper freeze early next week. Needless to say, the garden is going dormant. I’m concerned about a couple of things we didn’t cover up last week, wondering if they will recover. It took a few days but I noticed that a couple of plants aren’t looking happy, browning and perhaps dying back or dying altogether. I’m hoping the night blooming cactus doesn’t bite the dust, but it too is browning. I’ll be covering this weekend in hopes that what is still left at the bottom can recuperate next year. What all of this is leaving me with is zone hate. It’s a teaser zone—hey, look you can grow tropicals—oh, just kidding you CAN’T! Oh the jealousy of everyone living 1 hr south, getting the warmth from the Gulf of Mexico blowing inland. Me, I get the iffy freeze line zone. 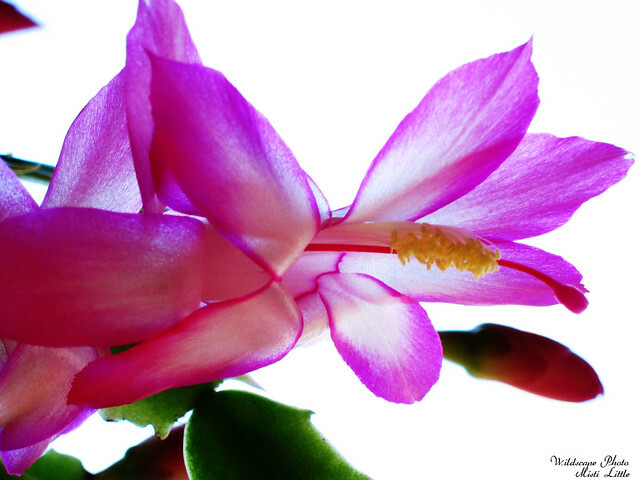 Oh well…..at least the Thanksgiving cactus is easy to move indoors.